International House of Pancakes is following a current trend in the restaurant industry by offering more low calorie items on their menu. There are 8 new items on the breakfast menu and 4 items on the dinner menu. 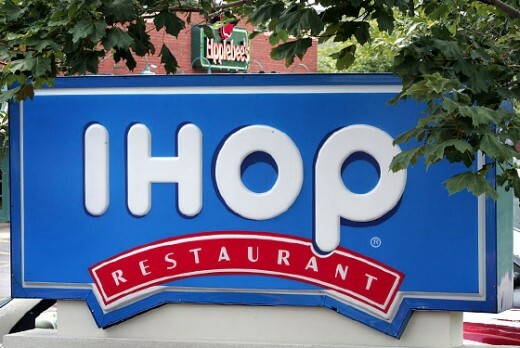 Read on to find out what you can order at IHOP without blowing your diet. NOTE: Egg substitute and turkey bacon are used in these dishes. You get two slices of whole wheat French toast topped with slice bananas and scrambled eggs with 2 strips of bacon. You get 2 whole grain blueberry pancakes topped with sliced bananas and scrambled eggs. Scrambled egg substitute, 2 strips of turkey bacon and two buttermilk pancakes. Scrambled egg substitute, two strips of turkey bacon, whole wheat toast and fresh fruit. Made with egg substitute and served with fresh fruit. Egg substitute omelette with turkey bacon and Swiss cheese. An omelette made with mushrooms, green peppers, onions and oven roasted tomatoes. A light and refreshing bowl of seasonal fruit. Seasoned tilapia grilled and then topped with a rich hollandaise sauce. Served with steamed borccoli.